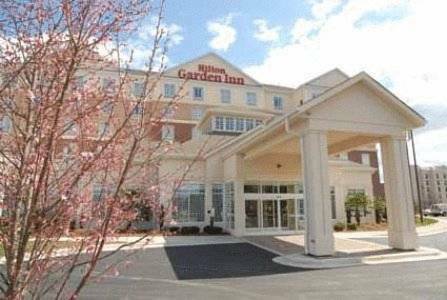 Hilton Garden Inn Charlotte/Concord Kannapolis, Hotel null. Limited Time Offer! Hilton Garden Inn Charlotte/Concord. "Hilton Garden Inn Charlotte/Concord" is a 3-star hotel. This hotel is a convenient pied-a-terre for visiting Concord. There is a shuttle bus service available for your transport needs. High temperatures are kept outside the bedrooms thanks to the relieving air conditioning. Don't forget to bring your swimsuit since this accommodation offers the luxury of a covered, indoor swimming pool. You are presented the opportunity of practicing golf. Furthermore, there is a gymnasium where you have the option to exercise. This accommodation features a jacuzzi, ideal for unwinding from your day's activities. No need to go out searching for dinner as there is an onsite restaurant. For a drink after a long day, you will find the lounge bar most welcoming. In the morning, visitors have the opportunity to enjoy the hotel's breakfast. For those who like to share their experiences instantly, there is free Internet access available.